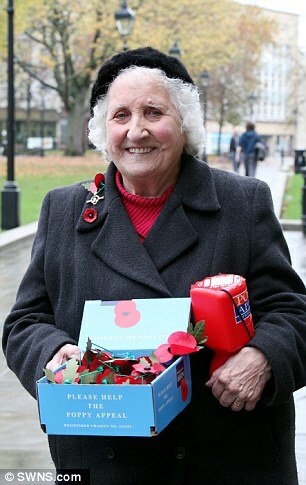 I'll remember Olive Cooke too; Britain’s longest serving poppy-seller who died last year. It reminds me of MARS session. We read about it in the last year. Time flies! Yes, @Bubbly , we read that last year. As I told @rupsil in his session, I have always had to be silent for 8 minutes each year. The Armistice of 11 November 1918 went into effect at 11 a.m. Paris time on 11 November 1918 ("the eleventh hour of the eleventh day of the eleventh month"), but in the UK they mark it at 11 o'clock British time, which is 12 noon in Germany. So I am silent for 2 minutes at 11 o'clock CET, and 11 o'clock GMT, and I do that on 11.11 and Remembrance Sunday. In Germany there is no Remembrance Day, but they mark Volkstrauertag (literally translated: “the day of national grief”), which commemorates all victims of armed conflict and other violent oppressions collectively, both German and international. It is held two Sundays before the first day of Advent. This year it falls on the same day as Remembrance Sunday in the UK. Why I should do that? I mean to remember things, it will make me feel bad. Of course you should feel bad, @aladdin . That's the meaning of this day. To not forget all the bad things which happened and still happen in the world. I wonder in how many days and how many minutes you have to be silent if you live in New Zealand, @Lynne . BTW, do they remain silent for two minutes too in Germany? Or just one minute like here? @april I am impressed the way people still remember this day and share their positive gestures as well. I'm afraid this year the 11th of November went by in a blur as I was still jetlagged and running around like a crazy thing to prepare for going trekking the following day. But usually I try to remember it by wearing a poppy. 11th of November is a Independence Day in Poland. From nineteenth and a part of twentieth century Poland was under occupation Germany Austria-Hungary and Russia. The defeat these countries in World War One allowed my country regain freedom. Do you also remember the world wars on this day too @nomad81? OR it it just your independence that is celebrated? @mheredge 11th of November is mainly celebrated as Independence Day nevertheless we also remember about victims of World War One because Polish soldiers fought on the all fronts this war. I am in a brass band so we led the remembrance parade, and I was very proud of that indeed. It was an honour to be a part of it. I remember that in my university faculty of history was an action consisting in prepare a list of soldiers' graves which could have been renovate. It concern not only Polish soldiers but also other nations' soldiers. Next was created a map with points where they are located. I have a friend who has visited the First World War cemeteries in France and Belgium. I think this must be very sad, seeing the huge numbers of graves. War is so senseless but humans don't seem very good at learning from their mistakes. Though this sounds very wise @april, I suppose it is also very obvious except if you take the awful legacy of war out of the equation. I watched "Black Hawk Down" yesterday and it reminds me of how horrible the war was. I think one of the character in the film said: "War will never stop in this world!" It's a horrible thought but I'm afraid it's the truth. I think you're right @april. It's so sad how stupid humans are. This year was 100 years since the end of the First World War.